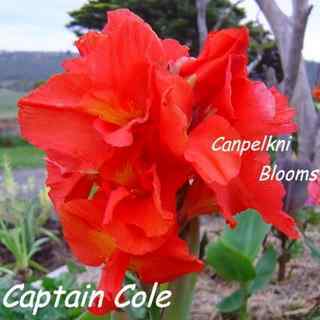 The Australian Cole cannas were raised by Charles Frederick Cole and they are thought to be raised sometime from the 1930 through to the late 1950s. 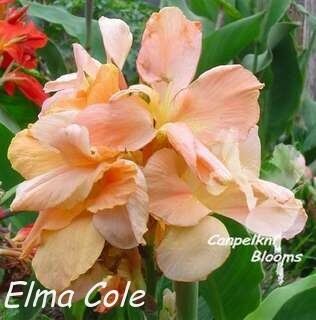 Many of his beautiful canna plants are still being grown today mixed amongst other cottage garden flowers; however some of them may be permanently lost. 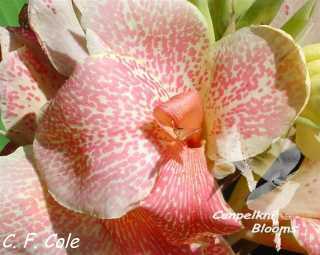 Unfortunately some of his hybridizing efforts have now resulted in some cultivators being called the wrong names and some have been lost over the years, there is still some confusion over which names are correct for some of his plants with his existing flowering cannas in circulation today. 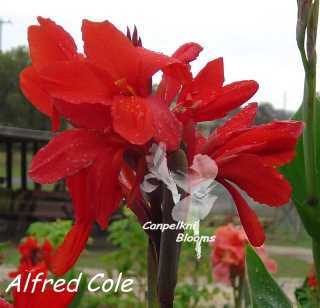 Charles Frederick Cole raised some beautiful canna plants varieties, most were named after family members. 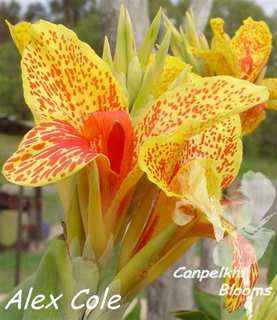 The beautiful spotted cannas flower of C. F. Cole, this beauty he named after himself. It’s a very popular perennial grown amongst bedding plants in Australia. 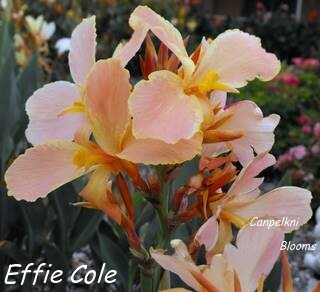 A tranquil and placid colored canna, Effie Cole gives some pastel softness into the garden.